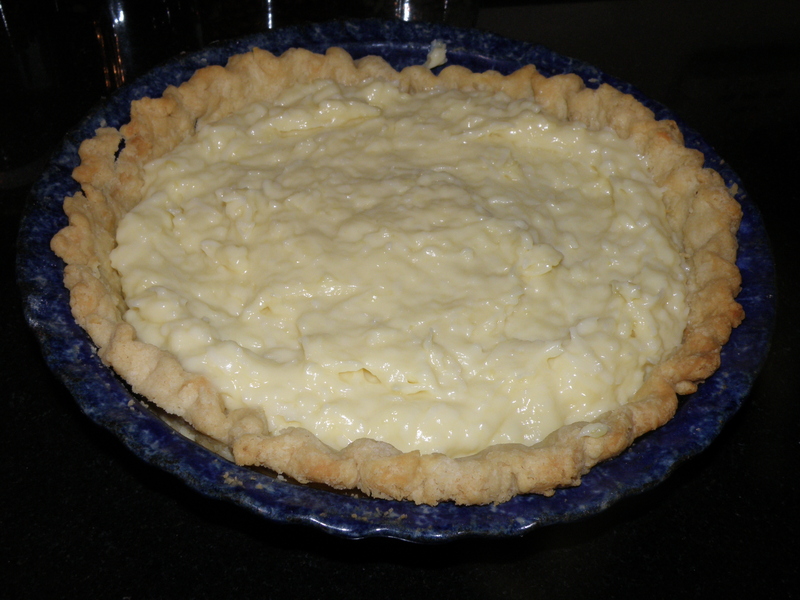 January 23rd is National Pie Day and what better way to celebrate the day than a delicious Coconut Cream Pie. This creamy pie has another surprise a layer of chocolate on the bottom. Here is the Wikipedia definition of a pie: A pie is a baked dish which is usually made of a pastry dough casing that covers or completely contains a filling of various sweet or savoury ingredients. 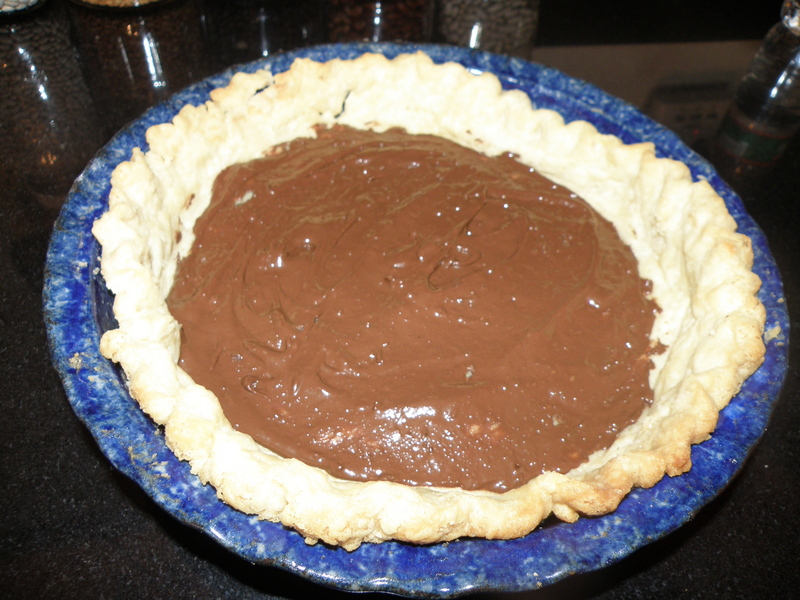 Spread chocolate on the bottom of the baked pie shell and set aside. 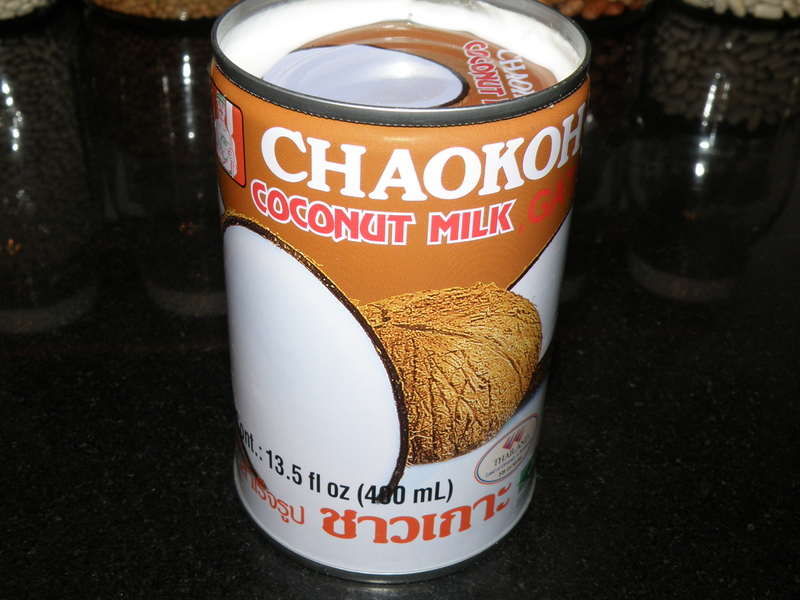 Bring coconut milk, milk, ½ cup shredded coconut, ½ cup sugar and salt to simmer over medium-high heat, stirring occasionally to ensure sugar dissolves. Whisk egg yolks, cornstarch and 1 tablespoon sugar in medium bowl until thoroughly combined. Whisking constantly, gradually ladle about 1 cup hot milk mixture over egg yolk mixture; whisk well to combine. 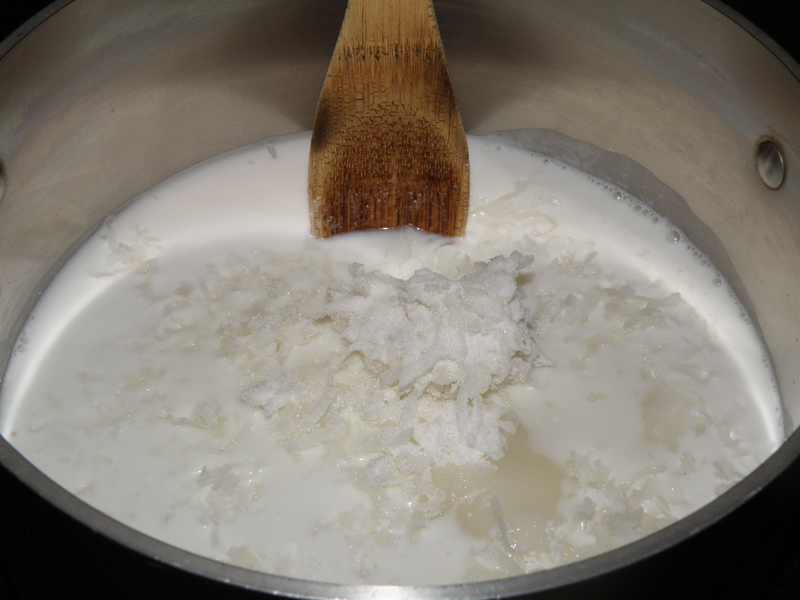 Whisking constantly, gradually add remaining milk mixture to yolk mixture in 3-4 additions; whisk well to combine. Return mixture to saucepan and cook until thickened and mixture reaches a boil, whisking constantly, about 1 minute; filling must boil in order to fully thicken. Large bubbles should quickly burst on surface. Off heat, whisk in butter and 1 teaspoon vanilla until butter is fully incorporated. Pour hot filling into pie shell and smooth surface; press plastic wrap directly against surface of filling and refrigerate until firm, at least 3 hours. Just before serving, beat heavy cream, 2 Tbsp sugar and ½ tsp vanilla with electric mixer until soft peaks form about 1 ½ – 2 minutes. 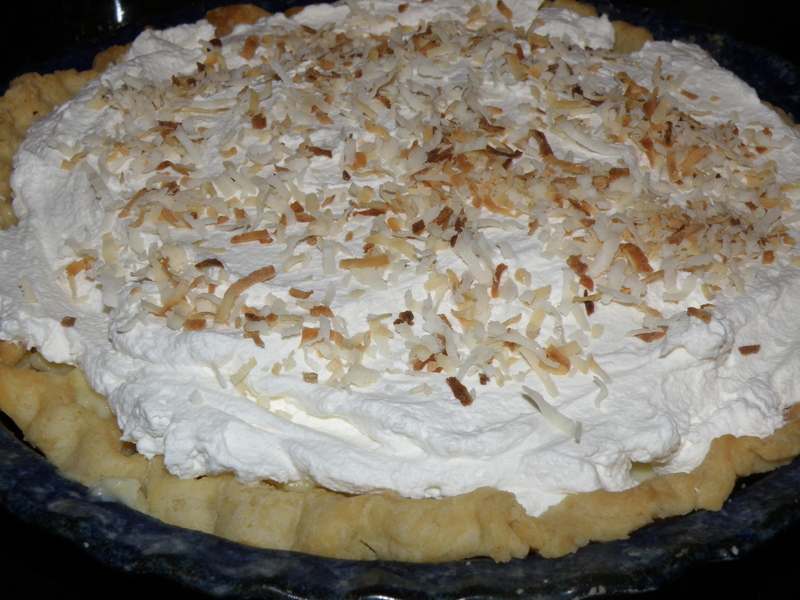 Top pie with whipped cream topping and then sprinkle with toasted coconut.